This documentary revolves around one of America's most famous structures, the Golden Gate Bridge which is an iconic man made structure in San Francisco. 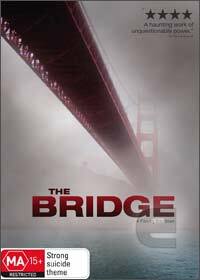 The director of this inspirational DVD spent an entire year filming the bridge which documented a variety of shocking and human like experiences that include suicides and suicides attempts. Director Eric Steel interviews the families and people who have attempted suicide to give the viewer a true insight into their lives and what drove them to desperation and how this landmark of hope and freedom is also an icon of the end of life for some. Gripping, inspirational and engaging!